Morning all, now I don’t normally succumb to nerd rage, because this hobby is most of all about each of us and how we perceive the narrative presented to us. I know there was a lot of angst generated when GW changed faction names in their publications to ensure copyright integrity (Eldar-Aeldari etc) but I maintained my chilled out, calm exterior and now switch between the old and new names with no real distinction. Similarly when 8th edition hit, and the Primaris marines were introduced to the range and the background, along with their ‘secret’ development at the hands of Belisarius Cawl. That’s fine, I took that in my stride too, and instead of looking at it as an insertion into the fluff, just accepted it as a change to the background, no biggie, it happens all the time in small ways. Something really got my goat this morning though, and it’s not even about chainswords this time! Accompanied by a new plastic character, no less! Excitement rising, the Asuryani (see?) in me was looking forward to seeing the new Autarch on jetbike model this had to be – after all, with Saim-Hann being the focus of the fluff it just had to be a release to boost the famous wildriders, didn’t it? Seriously, where’s my frigging jetbike Autarch! This is Saim-Hann for Khaine’s sake! 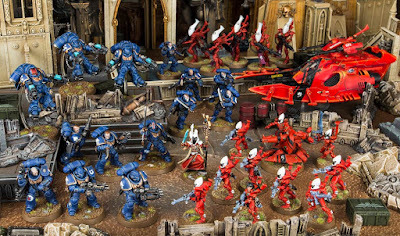 What are the bloody ghost warriors doing being the poster boys for Saim-Hann! 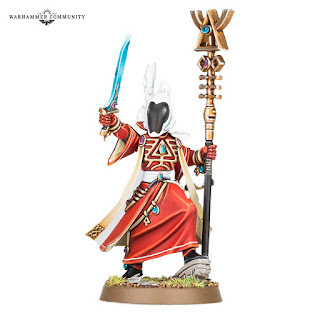 Honestly, at least stick to your own fluff, if you wanna sell wraiths and spiritseers, paint them yellow and promote them as Iyanden, don’t set all us wildriders hearts racing with the thrill of something new to add to our collection (Shining Spears btw, where the hell are they?) and then dash those hopes by showing us a brand spanking new flootslogger model! 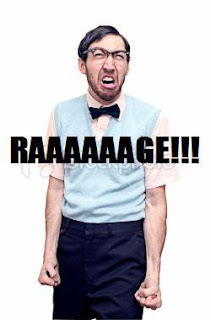 More Rage than you can possibly imagine! Oh what have they unleashed, I feel a new series coming on!